Here we are, I am ready! Very well trained, perhaps not so much concerning the weight of the back pack, but I shouldn’t be worried about the walking at all. 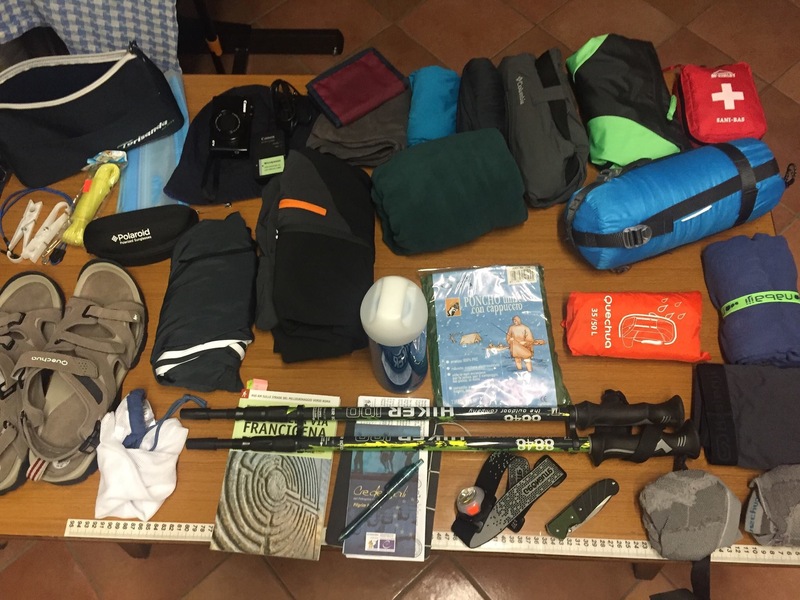 It’s my first long trekking travel and I will be all by myself; this is the final rehearsal which will help me understanding if I’m ready or not to challenge myself into the 750 kms length of the Via Francigena, but this is another journey. I pondered to bring a little diary with me to take notes to read again when I will be back home from the journey seeing I have a very short memory, and then I thought it would have been great to write down some line to tell my adventure to friends and people I know. What would be best to do it? Facebook? Instagram? A Word page??? In the end the easier thing to do is creating a blog, something I didn’t understand since yesterday, and perhaps even now, so I hope to be able to manage it without erasing everything I wrote once I will be done. Why will I be counting the steps? Well, there are guides and maps on paper and over the Internet with all the paths and the distances, we all know everything before the journey starts. Counting the steps, instead, is something more personal, they vary between each person due to the height, the stride and the fact that you are more or less in a perfect shape . It will never be a precise unit of measurement, it’s our own self unit of measurement. This is not a guide or a tale, I can’t really narrate and this report will perhapss be as flowing as the shopping list, but it’s better than nothing at all, right?